I’ve been working on a washcloth design of my own invention the last few days, as the type I knitted two and three years ago are starting to reach the end of their working life. I want a bit more of a scrubby-type texture so we can use steel wool scrubbies less. I’ll let you know how it goes. 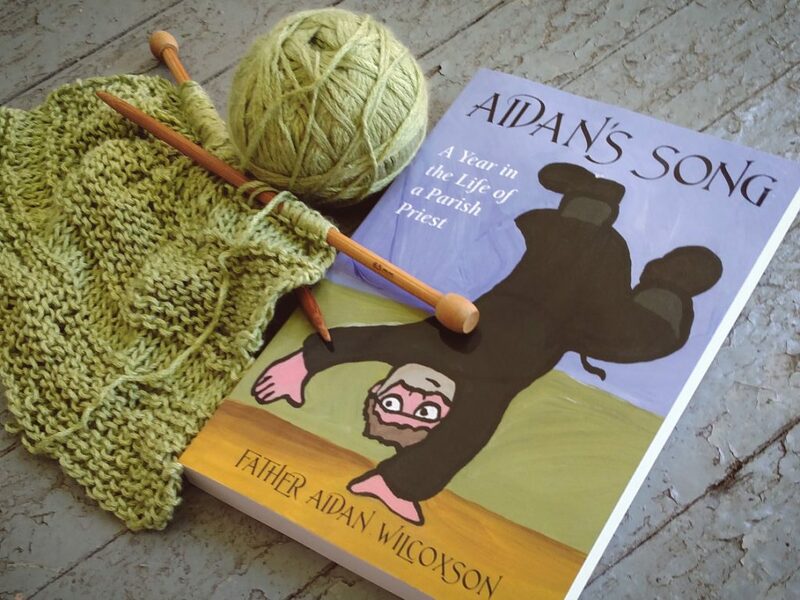 If you love Jan Karon’s Mitford series, you’ll love Aidan’s Song. It is like Father Tim’s diary- if he were an Orthodox priest instead of an Anglican one- but it’s a true story! (ANNND, Fr. Aidan is married to a Cynthia, too. I’m just sayin’.) It is so delightful! My friend Elizabeth sent it to me. I laughed and cried and laughed again and had “big thoughts” as Pooh likes to say. Truly lovely! I haven’t heard of that book but loved the Mitford series – I will add it to my TBR pile. Thanks! I like your washcloth pattern. I hope it works the way you want it to.